October, the month I stress myself out trying to make my son's party bags and this year is no different. 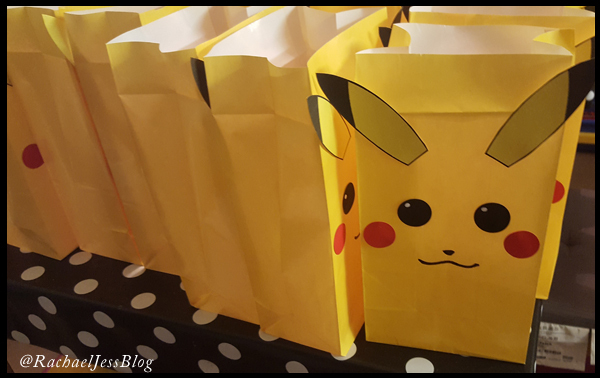 This year we're all about the Pokemon in our house so of course, the party bags were going to be Pikachu. 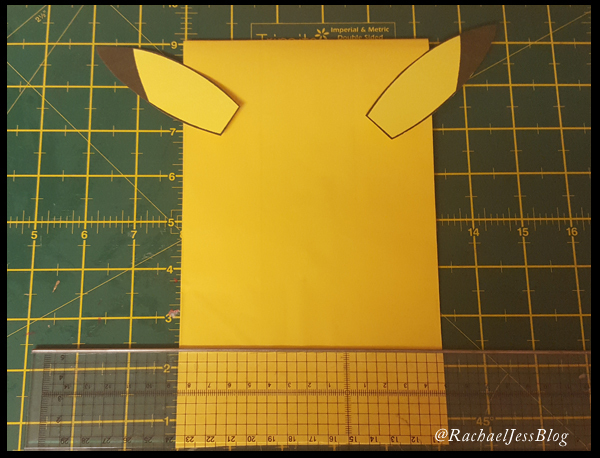 As I had done with the TMNT Party Bags, I purchased Pika's template from Creative Party Studio, that's just me being lazy because, at the end of the day, the shapes are quite easy to create in Photoshop. 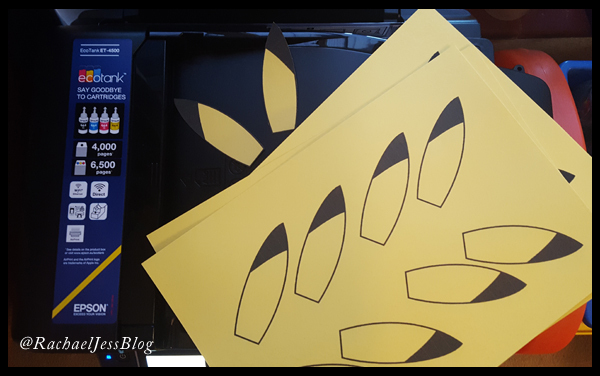 Fortunately, I have my Epson eco tank, which not only has ink to last 2 years, but it feeds through card perfectly, so one night was consumed with printing and cutting out the iconic ears. Armed with my bright yellow bags the ears were glued in place, a couple of inches away from the top to allow for the bags to be folded down. 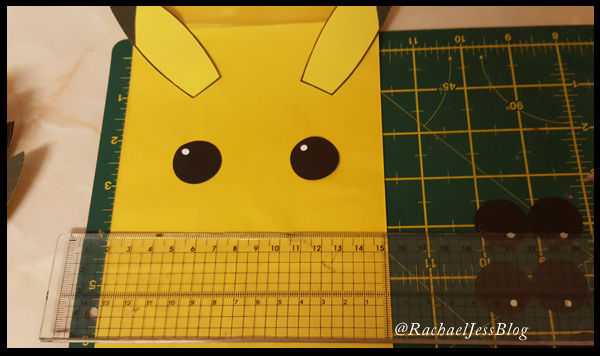 Although Pika's cheeks are smaller than his eyes in templates and pictures, I decided to go crazy and have the eyes and cheeks the same size - mainly because I had the perfect sized circle punch! 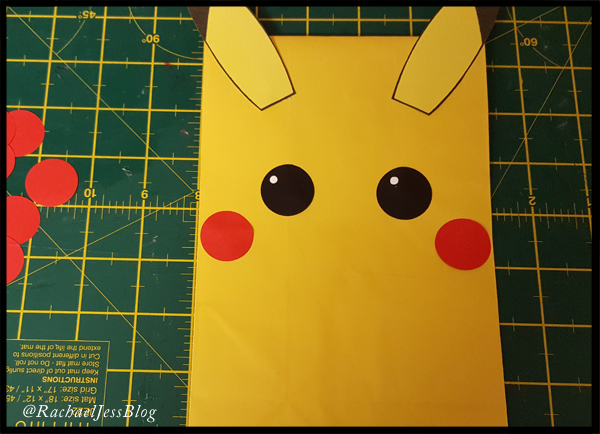 The black eyes had a little white dot added to them to give Pika character. Could do with being bigger but a single dot from the white pen was far safer for me than to start drawing circles. 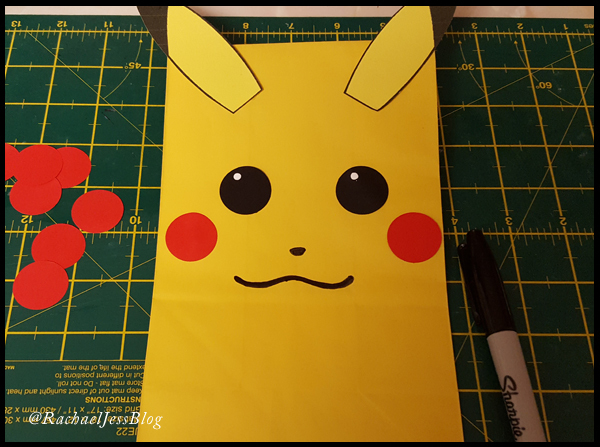 The final steps in creating Pikachu was to add a nose and mouth, I think we could have added the feet too, as you see on quite a few products, but I'm no artist and the black pen was seeping through the bag slightly so we would need to use a biro and I think that wouldn't look so good. So, dragging my poor partner in, as usual, we went for just the face. Took me a while, but we got there, in the end, all that was left was to fill the bags. 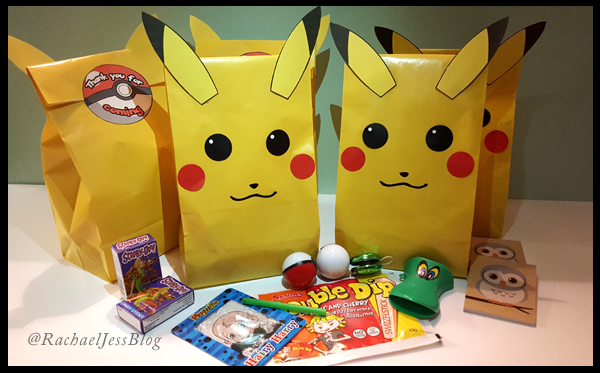 This year I went back to Little Party Bags and selected my (mainly retro) items to fill the bags with, which I have on good authority, went down very well with the kids. 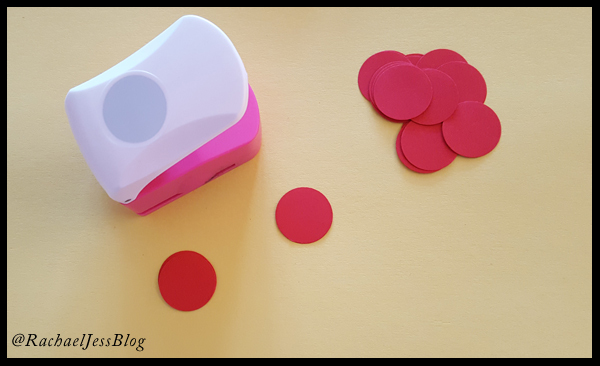 Your party bags are always amazing but i have to say that i particularly love this one!